September 28, 2012 was the day we found my cat, Pumpkin. Or, as is often the case with cats, more accurately it is the day she found us. It was two nights before the Harvest Moon but luckily, still warm enough to be leaving the windows open at night. If it had been any colder, and the windows therefore closed, we might never have heard the tiny mewing coming from the bushes on the patio. She popped out of the bushes when we went to investigate, starving but friendly, barely bigger than your hand with tortoiseshell/calico fur sticking up in every direction. It was getting dark and strays are pretty common around our property (though not usually quite so tiny or quite so cute), so we just put out a small bowl of tuna, a small bowl of milk and a towel, in hopes she would keep warm for the night. The next morning, no doubt due to the rather indulgent meal we’d left for her, she was still there. But, we all had to go to work! So we took her with us, of course. She was given a wicker basket and a towel to sleep on the shop counter, which she sleeps in to this day, much to the bemusement of our customers (though, admittedly, she’s outgrown the size of her basket several times over so it’s not the same one.) We assumed she was no more than eight weeks old, as small as she was, but Dr. Joanna informed us after a thorough check-up that, no, she was actually three months old. More than likely, someone abandoned her and probably the rest of her litter in the rural area around our house, though we don’t know how long she survived on her own before wandering into our bushes. She grew quickly with a warm bed and food in her belly. As it was late September, I attempted to name her Harvest but my mom insisted on calling her Harvey, which only brought up images of Gabriel Macht and cutthroat lawyers. The name was promptly changed to Pumpkin, (ridiculous but cute), and it stuck. Pumpkin runs the roost at home and at work and travels with us in the car every morning and evening. She has quite the following; customers often come in just to see her. In the interest of full disclosure, I have not read Dewey, but it has been recommended to me several times now, and the other five are all old favorites of mine. Particularly Catwings! I must have read that whole wacky series a dozen times as a kid and have only just now, in the process of writing this post, discovered that it was written by the Ursula K. Le Guin. Feeling a little shame here, I’ll be honest. 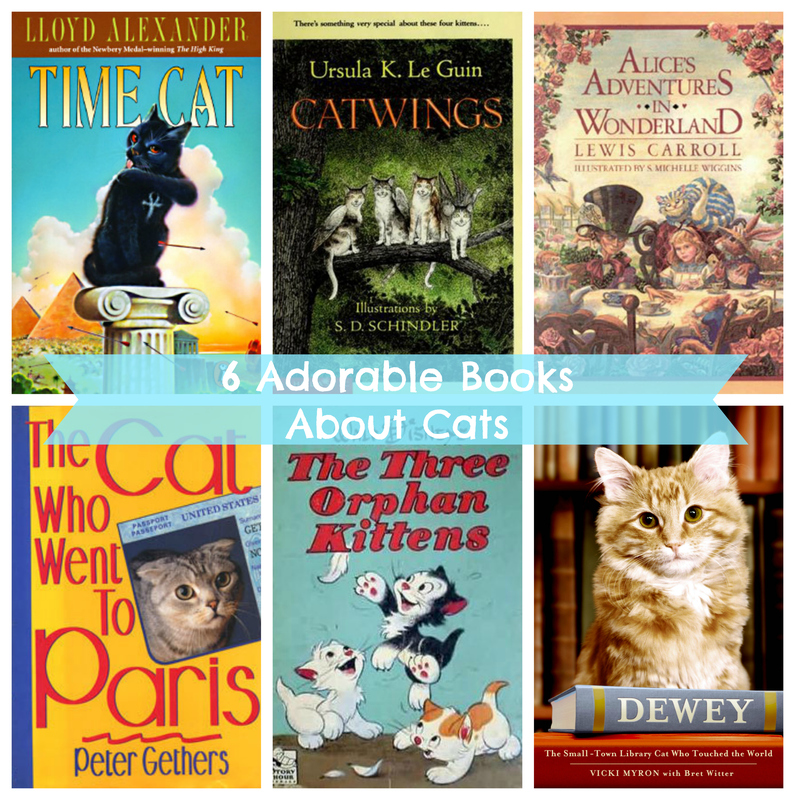 What is YOUR favorite cat book?